The city’s Local Council on Women (LCW) aims to improve the skills of Violence against Women (VAW) Desk officers in the barangays through capability-building activities and orientations this month. These activities are part of the city’s observance of National Women’s Month in March. LCW Chair Rosalinda Abellon said the activities aim to enhance the capabilities of barangay VAW desk officers in handling women survivors of gender-based violence. A special orientation on Republic Act (R.A.) 9262, R.A. 7610, and HIV-AIDs will be held on March 15 at the Women’s Center Building along Rizal Boulevard. The LCW will also hold capability-building measures for first responders in the barangays. “Dili man nato sila matapok, ang atong mga service provider team na naa sa LCW mao na mismo moy atong dad-on sa barangay ug adto na didto himoon ang pagbansay-bansay (We may not be able to gather them in one venue, that’s why the service provider from LCW will visit barangays to conduct capability trainings),” Abellon said. The capability building activity for the barangay VAW desk officers started on March 1. City Prosecutor Lalaine Cimafranca noted that a lot of things still need to be done in terms of how Violence Against Women and Children (VAWC) cases are handled in courts. “It needs a lot of improvement in the initial response, documentation process, monitoring and in the full prosecution of cases, ug ang pinaka-importante is after care. Kung wala ang pinaka-last na after care, it will come as a repetitive cycle. (The most important is aftercare. If this is absent, it will be a repetitive cycle),” Cimafranca explained. With this, she emphasized that the VAW desk officers play a crucial role in building a strong basis for a case. “Your role and initial actions, they are very important. Kung dili insakto sa sugod, dili na nimo matambalan (If it is not properly handled from the start, there is no remedy to it),” Cimafranca said. “Kami ang receiving end sa unsang inyong gihimo sa una ninyong pagresponde sa nanginahanglan. Ug dili maayo ang pagka-asiste, that will be documented and bisag usaon ninyong wipe-out, dili na siya ma-erase. Whatever you will do, your initial response is very crucial (We are the receiving end of your actions. It if the individual was poorly assisted that will be documented and it can’t be erased),” she added. Cimafranca appealed for cooperation from the barangay VAW desk officers to ensure successful handling of VAW cases. “Let us work hand in hand. We need to coordinate. We can only be as effective in the performance of our task if we are given the kind of input from you,” she said. Atol sa maong forum, namahayag si Tan nga importante nga mahibal-an sa kababayen-an ang ilang mga katungod ilabi na kung sila makasinati ug mga pangabuso, aron magiyahan sila nga modangop sa mga ahensya sa gobyerno ug non government organizations nga motabang ug manalipod kanila. Agi ug pahatag ug importansya sa Women’s Month celebration daghang kalihokan ang gi andam sa kagamhanang probinsyal ilabi na sa natad sa sports. Matud ni Josie Columna ang Gender and Development (GAD) focal person sa probinsya, ipahigayon ang Gender Sensitivity Training (GST) sa lungsod sa Zamboanguita ug orientation on the rights of women aron masayod ang kababayen-an unsay buhaton kung sila maabusohan sa ilang katungod. Dugang ni Columna nga ang Negros Oriental Sports Development Program (NOSDEP) adunay gihan-ay nga mga sports events alang sa kababayen-an sa tibook bulan sa Marso sama sa table tennis, sepak takraw, all women marathon ug dragon boat race. Tak-opan ang tibook bulan nga kalihokan sa Women’s Month sa usa ka all women livelihood summit diin adunay mga livelihood groups nga mohatag og orientation ug training sama sa Voice of the Free nga mopaambit sa entrepreneurial skills ug livelihood programs, job generation gikan sa buhatan sa Provincial Employment Service Office (PESO) ug ang Negros Oriental Organic Agriculture Management Council (NOAMC) nga mohatag ug kahibalo sa pagpananom pinaagi sa organic farming. The City Government of Dumaguete rolled out programs for the women residents here in time for the observance of National Women’s Month (NWM) this March. 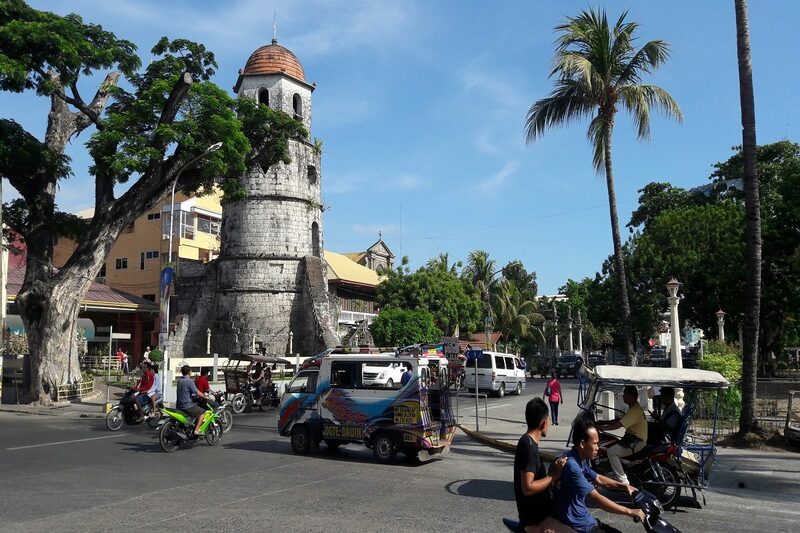 Dumaguete City Local Council of Women (LCW) Chairperson Rosalinda Abellon disclosed that the City Health Office (CHO) offers free Visual Inspection using Acetic Acid (VIA) to all women residents in the city aged 40 years old and above. VIA is a cervical cancer screening tool similar to Pap smear. The free VIA screening will be held throughout the entire month. Also happening throughout March is the capability building activity for initial responders of Violence against Women and Children (VAWC) or VAW desk officers in 30 barangays in the city. Abellon said a team of service providers from LCW will conduct orientations and capability development activities to enhance their skill on handling women survivors of gender-based violence. On March 19, members of LCW will visit the female inmates inside the city jail for its Women Inmates Day. “Ni-spend ta ug usa ka adlaw na gigahin para sa women inmates. Dapat pod sila gahinan ng oras ug budget ug naa assurance na wala ta kalimot nila (We will spend one day with the women inmates. We should also spend time with them and assure them that they are not forgotten. We should also allocate budget for their needs),” Abellon said. Abellon shared that last year, the city government was able to allocate budget for the improvement of facilities inside the women’s correctional facility, particularly the construction of a function room for skills training activities after the LCW together with City Councilor Lani Ramon who chairs the Committee on Women, Children, and Family Life after they had a consultation with female inmates to discuss their needs. The LCW chair also announced that the council will also spearhead a skills training event in cooperation with the City Social Welfare and Development Office (CSWDO). In line with this, LCW held a Women’s Summit on March 8 at the DCCCO Multi-Purpose Cooperative Function Hall where different women’s group presented their programs and also their livelihood projects for women residents of the city. The activity also featured talks on women empowerment. On the other hand, female employees at the City Hall can avail of free beauty, massage, and other wellness services on March 14 at the Women’s Center Building along Rizal Boulevard for the “Pag-amuma” Activity. “Ato nang gigahin sa mga empleyada na babae. Kanang adlawa magrelax-relax sila (We have set that date so that female employees of the City Hall can relax),” Abellon said. Apart from the said services, the city government will also hold contests and sports activities this week and later this month. On March 12, there will be a Luto ni Nanay at the Women’s Center and on March 16 the city government will hold a Contest for Most Segregated Plastic. Abellon also invited the women to participate in the zumba activity dubbed “Zumba ni Mama” on March 22, 4:00 p.m. to 7:00 p.m. at Pantawan II along Rizal Boulevard. There will also be an all-women beach volleyball on March 26-27 at the beach volleyball area at the Rizal Boulevard. Meanwhile, Ramon assured that the City Government will continue to support and implement initiatives that will promote the welfare of women. Some accomplishments of the city government in terms of advancing the welfare of women include the improvement of Casa Esperanza which is the city’s only crisis center for females who are victims of abuse and the improvement and capacitation of the Women and Children’s Protection Desk of the City Police Station.